← Does Farming Destroy The Earth? When I was a child, I remember reading the “sort of newspapers” near the checkout in the supermarket. The National Enquirer, The Globe, The Star. “Supermarket Tabloids”, more entertainment than news, were kept safely separate from real newspapers. Stories of the “Bat Boy”, news about Big Foot, and of course the latest coverage of UFO abductions. Today, these outrageous stories pale compared to a brief glance at the Internet. Especially stories about foods. Conservatives approve mega-tons of farm chemicals being dumped on our food. Liberals who refuse to admit that “chemical free” organic foods are loaded with dangerous chemicals. All kind of crazy blogs about our food killing us. Hey… can the little green men stop building crop circles for a few minutes and tell me if any of those crops are safe to eat? While operators stand by for a call from our intergalactic farm hands, let’s talk about how safe our foods are. In the last two blogs, we discussed how scientific data is made to look more confusing than it is (“If Science Has The Answers, Why Are We Fighting Over The Questions?”), and how all farming impacts the environment (“Does Farming Destroy The Earth?”). Today, we’ll use what we’re learned from these blogs to understand food safety. So, let’s set aside our partisan beliefs, and lets focus on facts. The Internet is full of stories about the dangers of foods, but few of these stories quote real research, or they only take evidence from a single paper, and ignore everything else. When much of the “real” information comes from huge corporations, there are lots of reasons to question if the data is biased. But we can’t “confirm” that we should ignore data just because it comes from a big corporation. The US farm chemical industry is indeed huge, generating revenues of $769 billion annually. Then again, the US organic industry, which is still in its infancy, has revenues of $81 billion. There are no players (including us) that don’t have a big stake is the truth behind food safety. What we all want is food that is: nutritious (vitamins, minerals, ant-oxidants, etc. ), healthy (farmed without additives that makes us sick), and free from contamination (food isn’t adulterated after being harvested). The processes needed to make this simple statement happen is incredibly complicated. Terrible mistakes have been made in the past, but it appears that food is getting safer all the time. But the farming process is also looking more like a cross between a laboratory and a factory, and less like a farm. It’s not obvious how pesticides, fertilizers, GMOs (Genetically Modified Organisms) and other products used by big agricultural firms, like Monsanto, work. As consumers, we want lots of options, but as the farming process grows ever more complex, we’re not even sure what we’re asking for. It seems easier to just say, “I want my food to be natural”, and anything that is not “natural” is seen as a type of contamination. need to eat about a hundred of these, to equal one ear of modern corn. Organic corn is the same corn as the commercial kind (with the exception of very recent genetically modified corn). 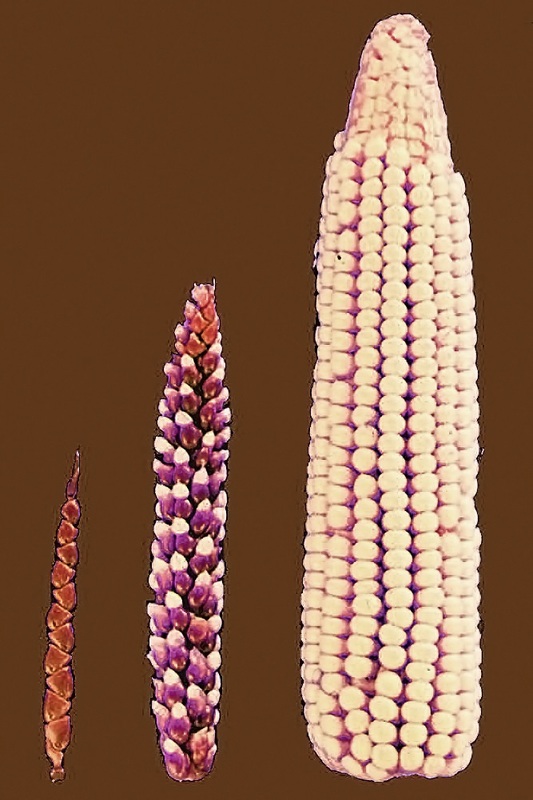 Those who favor organics tend to focus on the difference between one recent variant (or cultivar) of corn, and another… usually a Genetically Modified one. You will see very little, if any, comparisons with an original versions of corn. If wouldn’t make any sense to do with comparison with “natural” corn, because no one is going to go back to growing corn with just 5 or 10 kernels. Likewise, what we consider to be an acceptable form of corn today (the taste, nutrition, cost, etc.) may be seen in a hundred years as just as primitive and impractical a crop as original corn is today. The history of farming is a progressive march towards higher crop productivity, squeezing more food our of less and for a growing population. Americans (300 million today, 400 million by 2015), export $136 billion in food, all the while reducing the labor needed for farming to just 2% of the American workforce. 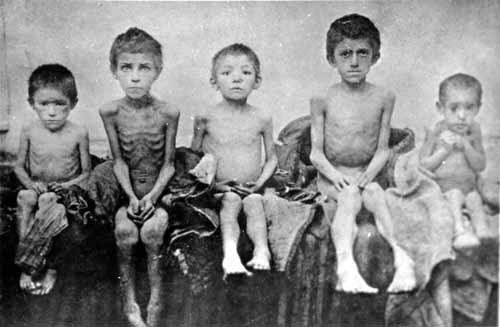 There few regional famines we still see are due to war, not crop failures. The need to feed a hungry world slowly changed the nature of farming, creating the massive industrial farms we have today. The vast increase in farm productivity did not come without a cost. Flood irrigation became our preferred form of farming, when the US was relatively unpopulated. Now agriculture competes with homes, industry and recreation for increasingly scarce water resources. Pesticides have been proven to be relatively safe, but our use of pesticides.. both in conventional and organic farming…. keeps increasing. Is there an upper limit, past which it is np longer safe? Mistakes in the past, such as DDT… which proved harmful, but in complex ways that were not easy to predict… make us cynical about tests that are performed by the firms that manufacture the products that are being tested. The world population in 1800 was 1 billion, which doubled to 2 billion by 1920, and then to 4 billion in 1970. The introduction of more productive cultivars, “miraculous” fertilizers and safer pesticides allowed world food production to more than double between 1960 and 1980. Experts say that the world population will stop growing at some point, perhaps as soon as 2050 at 11 billion, or we might grow past 16 billion. In our last blog (“Does Farming Destroy the Earth?”) we found that America has little land to spare for new farms, and that are losing farmland to land erosion (globally, 5,000 acres a day). As global climate change continues, we will lose still more farmland as acreage becomes flooded, too hot or are invaded by pests that thrive in the new weather. Poison in Our Fields? : In a murder mystery, the target of a poisoning consumes some beverage or food, clutches at their throat, gasps and falls dead. Science is very good at finding this type of poison. Pesticides aren’t this type of poison. If you drank a glass full of pesticide… a quantify that is millions of times greater than what you would normally consume… it would undoubtedly make you sick, if not kill you. Pesticide is supposed to be poisons, usually of plants or insects, so they need to be in some way lethal. The current generation of pesticides is more specific, and less toxic than the last generation. Each generation is measurably less toxic, or is found to have an unknown toxicity and removed. Sometimes the toxicity is not understood, or self-interest and bureaucracy slow down the process of removing toxic chemicals. Nonetheless, the chemicals we use on the farm today are safer than what they replaced. And the next generation of pesticides are likely to be still less toxic. Every chemical we use on a farm has some risk, but moving to newer and less risky chemicals is one way to make our food safer. A lot of blogs talk about autism, allergies, and other non-specific diseases being caused by farm chemicals, but the research is very weak. Studies are showing that more children are showing severe allergic reactions than in the past. The association with pesticides is usually no more than, “We keep using more pesticides and kids are getting more allergic. So, there you go!” The latest studies. however, show that the cause of allergies is “hyper cleanliness”, not pesticides. If our immune systems are not exposed to allergens when we are kids, our bodies never learn how to cope. Later in life, kids can have extreme, even fatal, allergic reactions. Add to this the narrowing of the Western diet. Vegetarian diets may reduce fats in the diet, but it also reduces the range of proteins and bacteria that we are exposed to. That stunts the growth of our immune system. Gluten, a protein that humans have consumed for 10,000 years, is an allergen for a very small number of people. However, a growing number of hyper-protective parents are removing it from their children’s diet, even when children are not allergic. Finally, consider children that only eat chicken fingers, hot dogs or mac and cheese… and possibly pizza. Pesticides may cause health problems, but these changes in kids diets are KNOWN to cause health problems. Consumer food choices appear to do more to influence health issues than farmer’s choice of methods. Nutrition: For years organic consumers have believed that organic is more nutritious than conventional foods. The nutrition of organic and conventional food has been tested many times and the verdict is… there is no difference. It is true that one study will find that organics are slightly better in anti-oxidants and another will find that convention food has more vitamins. Another study shows the opposite results. A recent large scale study looked at 200 peer reviewed scientific reports (peer reviewed studies, are the preferred form of research) and found no significant differences between organic and conventional. An even larger study… reviewing some of the reports from the previous study… found that organic had more vitamins, but conventional had more protein. There may be small differences, but not enough to matter. 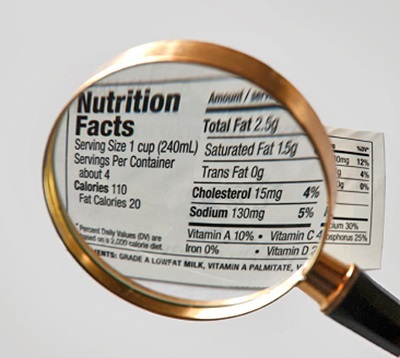 Besides, most of these reports are missing the two most important points about food nutrition. First, every farm is different. It doesn’t a matter if it is a conventional farm or if it is organic. The US is a big nation with states that have different soil, different weather. From farm to farm there are variations in the appearance and the nutrition of produce. These variations are not enough to matter, but they are enough to measure. If you truly want the best nutrition, then it’s a matter of consumer selection, not farming methodology. Consider your choice of Lettuce. It has three times the vitamin K, 5 times the carotenoids and 10 times the vitamin A of Iceberg lettuce. That’s a vast difference. Even within the general type of Romaine lettuce, there are different cultivars that can impact the specific nutrition of a head of lettuce, and the weather in a given season many make small differences in the nutrition of a given head of lettuce, at a given time in the season. Are you one of the lettuce lovers who prefers the tender yellow leaves at the heart of a head of Romaine rather than the slightly bitter outer leaves? Did you know that the greenest of the outer leaves that has the highest nutrition? Likewise, “baby greens” are usually nutritionally inferior to their more mature cousins. There is more nutritional difference between which leaf you choose on a head of lettuce, than which farm it came from. The second factor in nutrition is… freshness! Strictly speaking, this is not a farming issue. Instead, it’s about something called “supply chain”. This is the combination of cooperatives, transportation firms, packing plants and processing centers that move food from the farm to your dinner plate. All along the way, the enemy of nutrition is time and heat. The fields that grow your produce are hot, and every moment after produce is picked it is decaying. Big farms immediately move produce from the field to an ice bath, to quickly cool it down. The biggest corporations see that most of the route is kept cool… refrigerated cars, trains and warehouses. The factory farms is very efficient at moving vast amounts of food quickly. Still, the farther the produce, the more likely that it has lost some nutrition. The impact of shipping on produce is easy to see on leafy greens, but harder to see on apples and other produce that can be stored for long periods of time. There is a simple rule. If the food looks old and tired, buy something else. If you want the maximum nutrition, focus on buying food that was grown locally, and might get to you faster than if it was grown in another state or country. These are all “simple” cases of poisoning. Eat something poisonous, get sick, and then identify the problem. If modern farming chemicals are toxic, they are not poisonous in this straight forward way. Next, we ask, if these chemicals are not directly poisonous, could they give you some other illness? There have been questions about the connection between farm chemicals and… autism, Parkinson’s, asthma, diabetes, hyperactivity and other disorders, but the evidence is contradictory. Some reports show a relationship between these diseases and pesticides, and others disprove any link. The best interpretation? There is no definitive link between farm chemicals any and of these disorders. This doesn’t mean that a new study won’t change this tomorrow, it just means that there is no easy link that can be found today. What about Cancer? Most simply described, cancer is a copying error. Cells constantly copy themselves, and occasionally, something goes wrong. Most mistakes die off quickly. But mutated cells that survive, don’t function as a healthy cell, continue to replicate themselves, and copies itself faster than a healthy cell… this is cancer, or a precursor to cancer. The latest studies say that we all have pre-cancer, but our natural defenses constantly kill off cells with errors. That’s what our immune systems have been doing for millions of years. Mutated cells only become a disease because they can grow fast enough to overwhelm our defenses, or they discover how to hide from our defenses. BT, the most common pesticide used in organic farming has been designated as “can cause cancer”. When used as recommended, it doesn’t appear to be toxic. No studies show an increase of cancer in the population, or a conclusive link between individual cases of cancer and organic foods. A common commercial pesticide, Roundup, may get the “can cause cancer” label. As the use of pesticides continues to rise, we do need to keep testing for links between disease and farm chemicals, but the link is still to be found. The problem with truly understanding the link between food and our health is understanding if there is any such thing as a “safe” dose of a toxic substance. An industrial chemist knows which pesticide, in what quantity will kill a pest. Obviously, that pesticide must be in some way toxic, or it wouldn’t work. A chemical that kills a mammal is more likely to kill a human than a chemical that is specific to insects or plants. Just as our bodies know how to deal with poisons in limited quantities, but if the quantities are too large or poisons are unfamiliar, there might be health problems, but they are very difficult to detect. Many studies merely point to the rise in cancer in America and conclude that it must be our food. However, when you look at any age cohort (for ex: all males under 21 years old, everyone in New York from 30 to 40 years old, etc.) cancer has been falling. The “rise” in cancer has been due to our living longer, since 2/3 of all cancer cases occur after age 60. The rate of new cancer cases is unchanged and we’re living longer. Shouldn’t we conclude that something has been happening to our food that is making us healthier? Contamination: Once your crops are picked and off the farm, we’re done with food safety issues, right? The truck that carries produce today, carried had something else yesterday. This happened in the past, but hasn’t been an issue in the US for decades. Likewise, in the past there were small, local outbreaks of food contamination, but today we see regional or national outbreaks. The change in food contamination has a lot to do with the supply chains we discussed in the last section. As the chain gets longer, a small mistake at one farm becomes a national problem when produce gets comingled. The big contamination problem have been bacterial, especially E Coli, but also salmonella and a other bacteria. These bacteria come from the guts of animals and people. How do they get into our food supply? Farms often have farm animals. The rise of organic farming has led to the return of manure as a crop fertilizer. Animal manure has been stored near harvested foods, and manure is often move around in the same trucks that later move produce. Conventional farms can also have animals, even if they only use synthetic fertilizers, and can also have bacterial contamination. However, as organic practices expand, we can expect more contamination. Consider these recent cases of food contamination: US 2006 – organic baby spinach, 6 dead 198 sickened; Germany 2011 – organic leafy greens, 53 dead, 3,950 exposed). Leafy greens are very vulnerable to this type of contamination because they have many nooks and crannies where bacteria can hide. Both cases involved pre-packaged, separated leaves (ex. : a bag or a clamshell box of separate leaves). This allows just a small amount of produce to be mixed into a very large bin of separated or chopped leaves. Those leaves are then divided into hundreds or thousands of packages that are sent around the country, or around the world. In meats and processed foods, there are similar examples. In 2011, there was a large recall of ground turkey from Cargill (a national meat distributor), due to salmonella. One person was killed, and 78 sickened across 26 states. Earlier, other meat processors had similar outbreaks involving hot dogs and hamburgers. Ground and processed meat products have been repeatedly contaminated, but steaks, turkey drumsticks and other meats that haven’t been ground up rarely become contaminated. Surface contamination is more easily killed by the cooking process than contamination at the center of a ground food, like a hamburger. Conclusion: It takes a lot of processes and a lot of people to keep America’s food safe. Looking at the number of instances of food contamination, our ever increasing life expectancies, and other superficial but important statistics, this may be the golden age of food safety. Most Americans have enough food to eat and few showing signs of food borne illness or disease. New chemicals, new farming techniques, the arrival of GMOs and even the expansion of Organic farming may have health consequences that we cannot imagine today. We do need to remain vigilant as our farms diverge farther tan farther from “natural” farming. Still, the average consumer has a lot that they can do to control the safety and nutrition of their foods. Choosing the right types of foods, knowing how fresh your purchases are, selecting local producers, and ensuring that our children have a balanced and varied diet can do a lot of ensure that our food keeps us nourished and healthy. At least that’s my Niccolls worth for today! This entry was posted in Environment, Unique Ideas and tagged Farming, Food. Bookmark the permalink.